Améliorez votre expérience de téléchargement avec le meilleur gestionnaire de téléchargement! L'offre gratuite du jour pour TotalD 1.5.4 était valable le 26 juillet 2018! TotalD est un gestionnaire de téléchargement qui prend en charge les torrents, les téléchargements directs et les vidéos en ligne. Options: Contrôlez facilement votre gestionnaire. Windows XP/ Vista/ 7/ 8/ 10; Languages supported: English, Spanish, Deutsh, French, Japanese, Italian, Portuguese and 10 more. 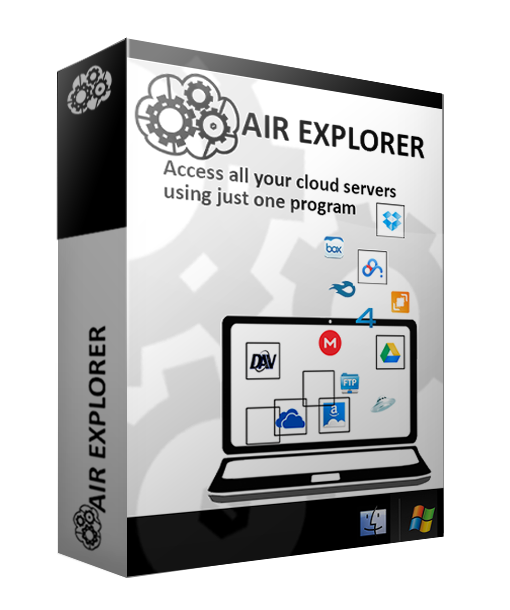 Air Explorer est une application qui gère facilement tous les fichiers dans plusieurs serveurs cloud (Google Drive, OneDrive, Dropbox, Méga, Box, Mail.ru, WebDAV, Yandex, Baidu, FTP ...). 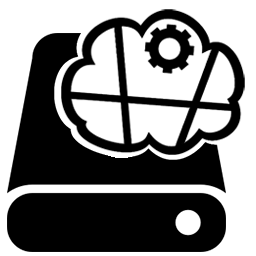 Il transfère les fichiers entre les clouds, synchronise les dossiers entre n'importe quel cloud ou votre ordinateur et, éventuellement, peut crypter vos fichiers lorsque vous les téléchargez dans le cloud. Air Live Drive monte les disques de nuage en tant que disques locaux sur votre ordinateur afin que vous puissiez ouvrir des fichiers distants avec n'importe quelle application sans avoir à synchroniser ou à utiliser l'espace disque local. Air Live Drive prend en charge les clouds les plus importants: OneDrive, OneDrive for Business, Google Drive, Box, Dropbox, Méga, Yandex, Naver, Hidrive, Mail.ru, WebDAV, Mail.com, Adrive, Cloud Magenta, Stack Stocrage, Datto Drive et SFTP. et il y a un manuel tuto pour l'emploi du soft. à la lecture je pense que les améliorations du soft serait beaucoup plus à intégré ce manuel dans l'installeur (copie directe des liens, plutôt que les manœuvre décrites à effectuées. Bon , bien que je n'ai nul besoin d'un gestionnaire de téléchargement, je tente le test. on continue ajouter des torrents (là c'est pas ma tasse de thé...en plus je suis accro au café) mais clic! "... No more free licenses are alowed for your email or location ...", strike one. Yeah, they misspelled "alowed", strike two. So I changed to a non-free email, and or changed my location ( free BrowserSec in Google Chrome ), and the free licenses are pouring in to my inbox for me now -- workaround required, strike three. It is a small file that phones home for the latest version, and then installs a different program from crypticly named temporary directories, so I had to pause and find the different installation file, and scan it with VirusTotal, because scanning the GOTD-delivered file is NOT the file that will do the installation -- I do not like programs that deny me immediate access to observable installation files that I can directly control, strike four. It asks to be my default for torrents BEFORE offering to VPN / Proxy ... strike five. I entered the license and it's taking forever to activate, "... Activating License, Please Wait ..." -- if it ever works, will their managed downloads also take forever? -- strike six. There is no way from within the program to stop the endless "... Activating License, Please Wait ..." screen, no [ Exit ] or [ Cancel Activation ] offering, so I killed the program via external means, strike seven. I try again, and the program loads off screen ... searching ... searching ... there it is off the lower right edge, it cannot find my screen, so I drag it into view, strike eight. I enter another license that they sent me, and got the same endless "... Activating License, Please Wait ...", never any response, so I killed the program using external means once again, strike nine. So I re-load it a 3rd time, and inspect the [ Options ] before trying to register the serial number ... and there is NO VPN / PROXY setting whatsoever, anywhere, nada, zilch, nothing, no-way, strike ten. Uninstalled, no batter -- TotalD is a complete and total waste of time.
. Their web link page responds: "... No more free licenses are alowed for your email or location ...", strike one. Yeah, they misspelled "alowed", strike two. So I changed to a non-free email, and or changed my location ( free BrowserSec in Google Chrome ), and the free licenses are pouring in to my inbox for me now -- workaround required, strike three. It is a small file that phones home for the latest version, and then installs a different program from crypticly named temporary directories, so I had to pause and find the different installation file, and scan it with VirusTotal, because scanning the GOTD-delivered file is NOT the file that will do the installation -- I do not like programs that deny me immediate access to observable installation files that I can directly control, strike four. It asks to be my default for torrents BEFORE offering to VPN / Proxy ... strike five. I entered the license and it's taking forever to activate, "... Activating License, Please Wait ..." -- if it ever works, will their managed downloads also take forever? -- strike six. There is no way from within the program to stop the endless "... Activating License, Please Wait ..." screen, no [ Exit ] or [ Cancel Activation ] offering, so I killed the program via external means, strike seven. I try again, and the program loads off screen ... searching ... searching ... there it is off the lower right edge, it cannot find my screen, so I drag it into view, strike eight. I enter another license that they sent me, and got the same endless "... Activating License, Please Wait ...", never any response, so I killed the program using external means once again, strike nine. So I re-load it a 3rd time, and inspect the [ Options ] before trying to register the serial number ... and there is NO VPN / PROXY setting whatsoever, anywhere, nada, zilch, nothing, no-way, strike ten. 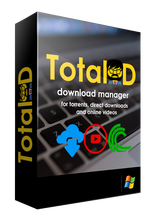 Uninstalled, no batter -- TotalD is a complete and total waste of time. .
Nice review. Thank you for saving me the time and effort. Peter Blaise, Nice review. Thank you for saving me the time and effort. Every time I click on that box "I'm not a robot" I feel like I'm lying to myself. Can it download from Spotify? And what happens after the 1 year license expires? What functionality is lost or is it a 1 year licensed entitlment to updates for the year but the program remains fully functional with all services as long as they do not require an update to continue working... like if youtube change their system so the program becomes incompatible with the new layout without an update.